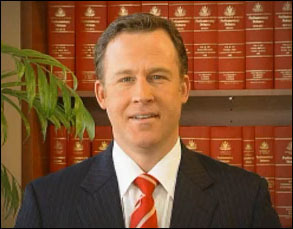 opinion I’ve got one message for Tasmanian Liberal leader Will Hodgman (pictured): Stop letting Stephen Conroy get away with whatever he wants in your state and provide some scrutiny on the National Broadband Network process. It hasn’t been quite announced yet, but Hodgman is today expected to claim the post of Premier after incumbent Laborite David Bartlett has his own Whitlam-esque moment with the state’s Governor Peter Underwood. There has been a lack of transparency around the Tasmanian leg of the NBN ever since it was announced that the broadband-starved state would receive the fibre rollout first as a testbed for the rest of the nation. Firstly there is the ongoing question of what exact legal form the state’s branch of the National Broadband Network Company will take. In July last year (just nine months ago), Prime Minister Kevin Rudd announced that the fibre rollout would take place in the state under the auspices of a joint venture between the Federal Government’s NBN Co and state-owned Tasmanian utility Aurora Energy, which has been involved in other broadband initiatives in the apple isle. The newly formed organisation was to be led by former Telstra CountryWide chief Doug Campbell and was to be called NBN Tasmania. One month later Communications Minister Stephen Conroy issued a cryptically worded press release claiming the Tasmanian NBN Co Ltd (TNBN Co) had been established as a “wholly owned subsidiary” of NBN Co. However, the Minister’s statement also noted that both Aurora Energy and NBN Co would be “joint shareholders” in the Tasmanian company. Now maybe my financial education is lacking, despite my time as a Financial Review reporter — but surely it’s impossible for a company to be wholly owned by another company but also have another company as a joint shareholder? In December ZDNet.com.au reported that the idea of a joint venture had been ditched because negotiations with Aurora were slowing down the fibre rollout process — despite the fact that Aurora has been acting as a procurement agent for TNBN Co.
As James Riley from iTWire this week pointed out, questions also remain about when the $100 million equity injection promised by Conroy into TNBN Co will reach the company. Riley dug up TNBN Co’s filings with Australia’s financial regulator, which show not only that TNBN Co remains a wholly owned subsidiary of NBN Co — where’s Aurora? — but also that the $100 million has not yet turned up, a fact that Campbell himself verified. Federal Liberal Senator for Tasmania, Guy Barnett, also raised questions in March about the estimated total of $700 million in funding needed to rollout fibre in Tasmania. “The NBN roll-out in Tasmania is estimated to cost $700 million. If today’s $100 million injection will take the NBN to 90,000 homes, what will the other $600 million be used for, and when will we see it?” Barnett said after the $100 million equity injection was announced, accusing Conroy of using the equity injection as a “political stunt” just weeks before the Tasmanian state election. “How much money will come from the Federal Government and how much from the State Government? Both governments are refusing to say,” Barnett said. Now there’s no question that work is going ahead in Tasmania rolling out fibre or that TNBN Co has the ability to obtain capital from its NBN Co parent. But any accountant or lawyer would describe the whole basis on which TNBN Co has been set up as “messy”. And that’s not good. As Tasmania’s likely new premier and a leading Liberal, Will Hodgman has several responsibilities in this area. Sure, Hodgman has already pledged to support the NBN policy, and is not expected to rock the boat too much after he takes office. However, he firstly has a responsibility to the good people of Tasmania to clarify exactly what legal form TNBN Co will have going forward, and how it will interact on a legal and financial basis with other independent bodies such as Aurora, the Tasmanian state government, and NBN Co itself. It’s not good enough for a major government-owned agency like TNBN Co to exist in a sort of hazy netherland between other major players, drawing on their services at need like a nebulous octopus in some form of public sector communist utopia. Secondly, Hodgman has a responsibility to his party to not simply toe Conroy’s NBN policy line. As Australia’s first Liberal Premier in a while, his performance will be closely watched as the nation heads to the next federal election, and states like NSW with Labor governments hanging on by a thread head to their own state versions. The Liberals now have a toehold on power in Tasmania, and Hodgman has a unique opportunity to use it to provide pressure on one of Federal Labor’s most ambitious projects, while still maintaining his commitment to his own state’s citizens. Now there’s no doubt Hodgman will have a tough task with a very minority government in the state — the two major Labor and Liberal parties each took ten seats in the lower House of Assembly, with the Greens picking up the balance of power with five seats. But after all, that’s politics. And his path regarding the NBN should be perfectly clear. Don’t expect to see any real change with the Liberals in power. The lack of transparency extends across the board, most notably with regards to the forest industry in Tasmania. In recent years a lot of this is due to the fact we have a reduced number of ministers, resulting in multiple portfolios per MP and ever more powerful Departments conducting business on their own terms with little oversight by MPs and even less scrutiny by so-called Opposition. The only credible Opposition we have are the Greens, but some of their social policies are a bit loo-la which is why they’ll remain a minority party, albeit one with a lot of clout. I certainly don’t expect to see any real change from the Libs re the NBN if Hodgman takes power, Chris, although I think we should if they were to pull their socks up. Everyone I’ve talked to in Tasmania has said more or less the same thing — that there isn’t enough transparency down there, but that the politicians and even the press don’t seem to have that much motivation to change things. It would be a bit of a shocker of a situation, however, to see a new Liberal Premier simply toe the line on a Federal Labor broadband policy, when their own party is doing it so hard on the broadband front in the Federal arena. If we had a strong Shadow Communications Minister (even Minchin would have qualified), you could expect to see some Federal Liberal pressure. But maybe not this time.